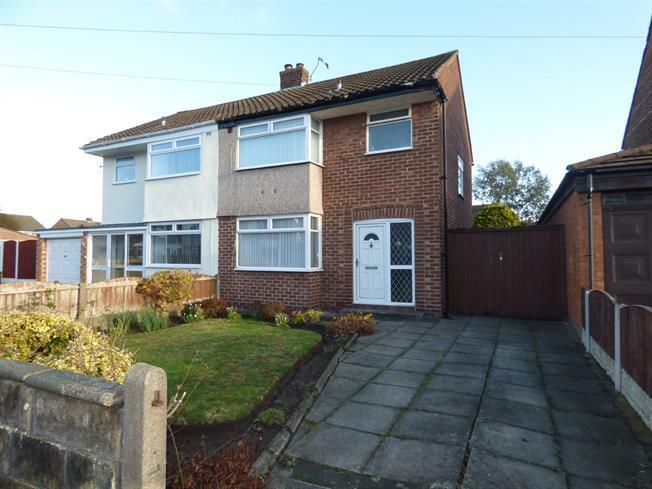 3 Bedroom Semi Detached House For Sale in Liverpool for Offers Over £165,000. Entwistle Green are offering for sale this well presented three bedroom family home with no ongoing chain. The property comprises in brief; entrance hallway, through lounge/dining room, kitchen, first floor landing with three bedrooms and a family bathroom. The property also benefits from a driveway to front and attractive, rear enclosed garden. Internal inspection of this attractive home is essential to appreciate. Sliding patio doors to rear garden. Double glazed uPVC 3/4 bay window to front. Fireplace and surround. Radiator. Fitted wall and base units with complementary work surfaces. Sink and drainer with mixer tap. Double glazed uPVC window to rear. UPVC door to side. Double glazed uPVC 3/4 bay window to front. Radiator. Fitted wardrobes with mirrored sliding doors. Panelled bath. Low level wc. Wash basin. Double glazed uPVC window. Driveway to front. Rear enclosed garden with laid lawn and borders.